Looking for an INEXPENSIVE, RELIABLE VEHICLE?!?!? Then we have what you need! 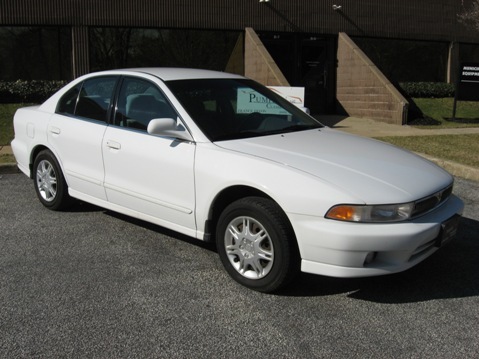 A ONE OWNER 2000 Mitsubishi Galant ES which was taken in on trade and is in excellent Condition! A CERTIFIED ONE OWNER CARFAX report shows a clean title history! 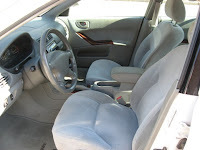 Fully Serviced and PUMPKIN CERTIFIED with nice options including AM/FM Stereo with CD Player & IPod Connector, Power Seats, Power Windows & Locks, Cruise Control and new to this year was the anti-theft engine immobilizer! A COMFORTABLE and easy drive with LOTS OF INTERIOR SPACE. Its got a 4 cyl, 2.4 liter engine and picks up speed quick, according to Edmunds.com "Going fast is second nature to the Galant. The vehicle exhibits a smooth powertrain with a Saab-like thrust of forward movement the second your foot hits the gas." Bottom line, this vehicle is NJ State Inspected, Serviced and Clean and for the low cost of $4,995...it doesn't get any better than this. Every vehicle sold at Pumpkin is guranteed to be a quality vehicle. Call us at (609) 646-7676 to schedule a test drive or email us at [email protected] for more information. Log onto our website anytime at http://www.pumpkincars.com/ for a complete list of our pre-owned vehicles.